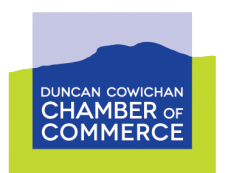 The purpose of the Cowichan Valley Arts Council is to enrich community through the lens of arts and culture. CVAC operates the PORTALS and Arbutus galleries that exhibit works throughout the year and coordinates The CVAC Centre of Arts, Culture and Heritage. Driving South from Nanaimo on Trans Canada, take a right turn onto James Street. PORTALS is located on the right hand side in the Island Savings Centre.